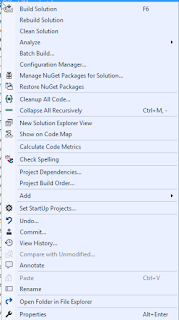 When you have multiple projects in a solution, you may find it difficult to ensure that all of the NuGet packages in the solution are all using the same NuGet package versions. 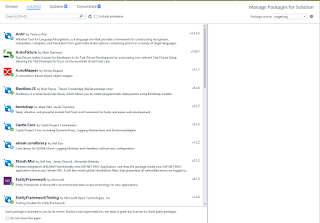 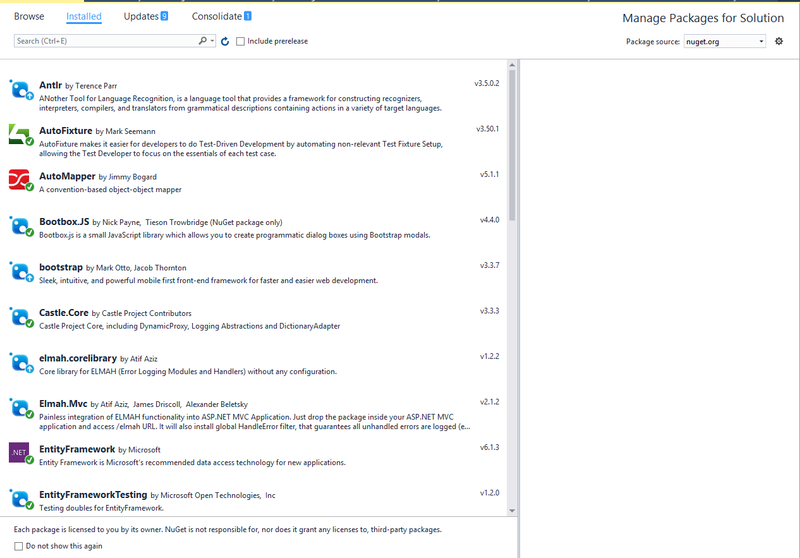 Fortunately, you can manage all of these various NuGet package versions at the solution level! 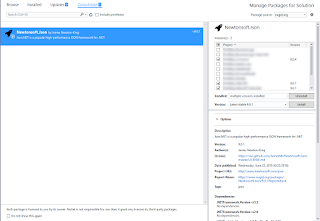 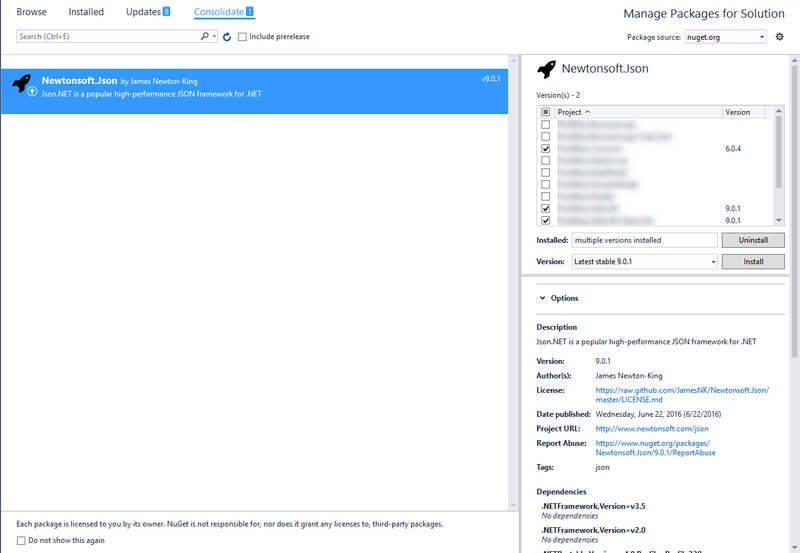 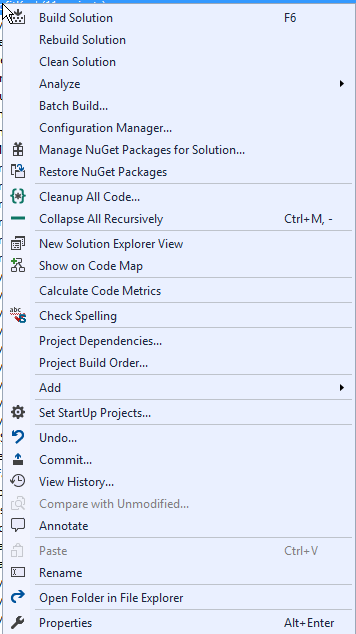 Right click on your solution and select "Manage NuGet Packages for Solution"
In addition, if there are differing version numbers of NuGet packages in different projects, you also have the option to "Consolidate" to ensure that all of your projects are using the same NuGet package version numbers!